Our Factory-Look Housing contains a permanently-installed lens. 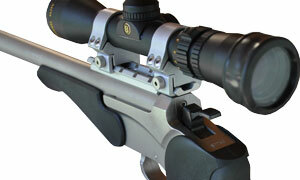 The housing is machined from high-grade billet aluminum designed to fit specific scopes. Available for Burris handgun line 2-7x32mm and 3-12x32mm scopes. 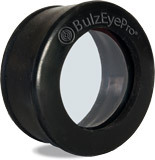 Our Universal Housing fits all handgun scopes with eyepiece diameters of 1.5 to 1.75. Just slip the booster over the eyepiece of your scope, follow the directions, and you're ready to shoot!